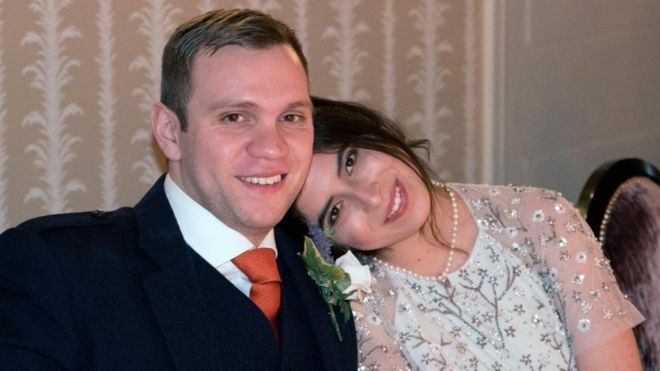 On Wednesday, a court in the UAE sentenced a PhD student at Durham University, Matthew Hedges, to life imprisonment for supposedly “spying” for the British government. There is no evidence to support the spying allegation, and both Hedges and the British government vociferously deny it. By all accounts, Hedges was simply in the UAE to research the country’s foreign and domestic security strategy — including its actions in Yemen. [Hedges’ wife] said that during the first six weeks he was interrogated without a lawyer or consular access, and held in “inhuman” conditions under which his mental health deteriorated. During this time he was allegedly made to sign a document in Arabic which it has now been disclosed was a confession statement. Hedges does not speak or read Arabic. Moreover, the idea that Hedges received a fair trial is absolutely false. Hedges appeared at two early hearings in court without any kind of legal representation, because nearly two dozen UAE lawyers refused to take his case on the ground that they would not have enough time or information to adequately prepare his defense. The court responded by simply assigning a lawyer to Hedges who did not speak English well enough to communicate with him. And then it sentenced him to life imprisonment after a five minute “trial” at which not even the court-appointed lawyer was present. The authorities continued to arbitrarily restrict freedoms of expression and association, using criminal defamation and anti-terrorism laws to detain, prosecute, convict and imprison government critics and a prominent human rights defender. Scores of people, including prisoners of conscience, who were sentenced following unfair trials remained in prison. Authorities held detainees in conditions that could amount to torture and failed to investigate allegations of torture made in previous years. Women continued to face discrimination in law and in practice. Migrant workers remained vulnerable to exploitation and abuse. Courts continued to hand down death sentences; there was one execution. British prime minister Theresa May said she was “deeply disappointed and concerned” at the verdict. “We are raising it with the Emirati authorities at the highest level,” she told parliament. Ms Tejada, who is due to meet Foreign Secretary Jeremy Hunt later, told BBC Radio 4’s Today programme the UK Foreign and Commonwealth Office had been “stepping on eggshells instead of taking a firm stance” and only began to take her husband’s case seriously once he had been released on bail on 29 October after enduring months of solitary confinement. “I was under the impression they were putting their interests with the UAE above a British citizen’s rightful freedom and welfare,” Ms Tejada said. She said she had contacted the Foreign Office “on a weekly basis” since her husband’s arrest in May. “They just disregarded my requests, they said it wasn’t part of their job, it wasn’t part of their duty,” she continued. She said: “I believe they should have taken a firmer stance from the beginning, if not publicly then through their private representations. “This is something they failed to do throughout. We can only hope the UK puts its money where its mouth is if Hedges loses his appeal. The UK is one of the UAE’s most important economic partners; the UK imported £4.8bn worth of goods from the UAE in 2016 alone. Unfortunately, the Tory government has made clear that it cares far more about money than human rights — as The Independent noted a few months ago, the UK doubled its arms sales in 2017 to regimes the British government officially considers human-rights abusers, such as China, Saudi Arabia (of course), Bahrain, Israel, Egypt, and Pakistan. So we should be a bit skeptical of Jeremy Hunt’s claim that failing to release Hedges will lead to “repercussions” for the UK-UAE relationship. Finally, it’s worth noting that at least 11 universities in the UK have a presence in the UAE. The University of Birmingham, for example, is currently building a £100 million campus in Dubai. Each and every one of those universities must immediately condemn the UAE’s flagrant attack on academic freedom — something notoriously absent from the UAE’s own educational institutions. And if the UAE does not release Hedges, the UK universities need to end their formal relationship with the country. I hope Opinio Juris‘s far-flung readers will do whatever they can to focus attention on Hedges’ plight. The UAE’s actions in his case are simply unacceptable.